Someone I know quite well, who shall remain nameless, is still in Hallmark holiday movie withdrawal. She hit the movies hard this year. I mean, really hard. And the utter lack of corny, snow-filled love stories has left its mark. 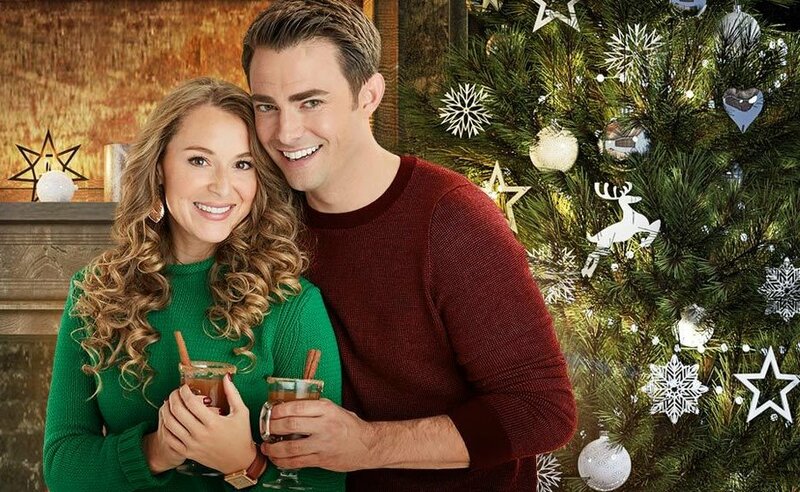 That's why I, I mean she, is so excited about Hallmark's announcement that they are recording even more seasonal surprises to watch this upcoming winter! Imagine, a whole 40 tales of girl meets boy at a Christmas tree lot, girl and boy argue over the most perfect blue spruce (do you ever notice how Hallmark gets way specific about its trees? ), girl and boy fall in love but don't figure it out until Christmas Eve. Stockpile food and such now, because you may not leave your house this winter. "Deck the halls, Hallmarkies! More movies, more stories, more incredible and memorable moments!" says the network's Facebook announcement. Three features will air on "opening night": The Christmas Song, starring Kristin Chenoweth and Scott Wolf; Holiday for Heroes, starring Melissa Claire Egan and Marc Blucas; and an untitled motion picture produced by country star Blake Shelton. There's a rumor that the first movie, Keepsake Christmas, will actually launch during July's halfway to Christmas campaign. Overall, Hallmark's two channels have aired around 176 original holiday movies over the last 10 years. I'm pretty hooked (which does not fit with my usual stance on cheesy romance movies. But, when in Rome ...), but even I can say that I haven't seen all of them. Have you? Hallmark's announcement also brings up an interesting question: Will any of Lori Loughlin's holiday movies air this year following the huge college scandal? Are you ready for the marathon of movies coming this holiday season? Love them or hate them? Sound off in the comments below.